Sitting in a bar last night having a cold one and doing a bit of sketching. Nothing serious, just messing around. 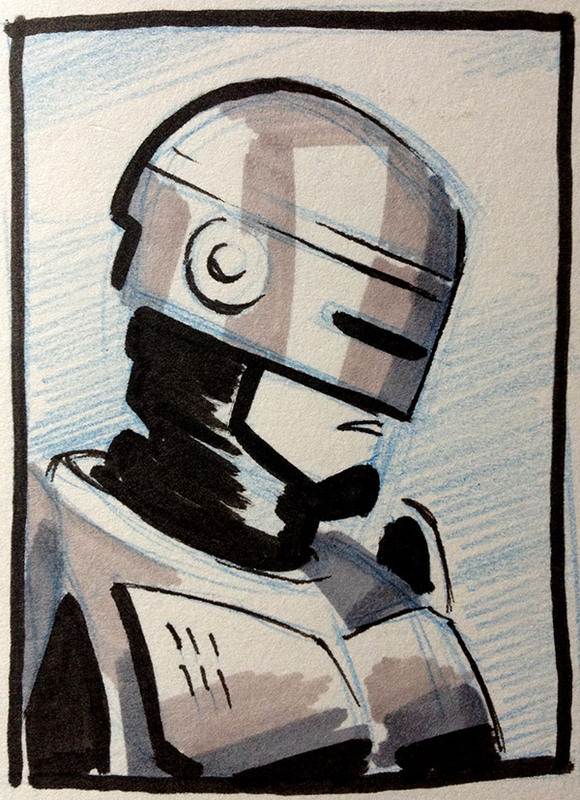 Did a few RoboCop doodles and was really happy with this one in particular. Best drawing I’ve ever done of ol’ Murphy. And of course, the damn thing has a height of about 3″. Aw well. James. How would someone go about owning that piece.